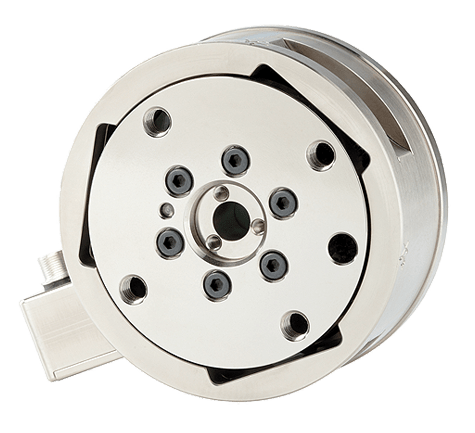 Torque Transducers – ATI Industrial Automation, Inc.
Understanding torque can be difficult, as the word has different meanings in different contexts, and each of those meanings can be elusive to people without backgrounds in mechanical engineering or physics. The fields that prioritize measuring torque with torque transducers include the automobile, aerospace and aviation industries, and anything else that works with engines. Torque transducers measure only one kind of torque. Very simply put, this kind of torque relates to rotational, or twisting, motion. Measuring torque is complicated because so many variables contribute to torque’s generation. The measurement of torque is the measurement of the rotational force necessary to perform work; the measurement of torque depends on the size of the objects involved, the distance between them and many other variables. Work, in the context of physics and mechanical engineering, has to do with the movement of a thing as a result of the movement of another thing, and torque is the measurement of the energy required to produce that movement. Torque transducers are very important in measuring the performance of engines. For example, in automobiles, the torque curve of an engine (which is the measure of torque while an engine operates) relates directly to the vehicle’s acceleration capacity. Sport car designers and service personnel are concerned with measuring torque for this and other similar reasons. Torque transducers must be inherently high-performance devices. They are used to measure the performance of an engine, whether in a car or in a machine, but they defeat their own purpose if they interfere with that engine’s performance. In order to measure the energy required to produce rotational movement, torque transducers must involve themselves in that movement. An analog to this situation is a golfer measuring wind speed and direction with an extended finger. To a very small extent, the extension of that finger interferes with the movement of the wind as it measures it. This interference is inconsequential in the measurement of wind speed, but it is very consequential in the measurement of torque; a poorly designed torque transducer can cause torque resistance, which can reduce an engine’s performance. Engineers noticed this problem and responded with clever innovations that can measure changes in magnetic fields without coming into contact with the machinery being measured. Whatever their measurement method, all torque transducers must take their measurements and then transmit that information to a display that can be read by humans; in this way they are similar to pressure sensors and level transmitters. That display can be part of a computer in more advanced systems, or it can be a simple LCD screen with nothing more than numbers. Torque Transducers Torque transducers, also known as torque sensors and torquemeters, are instruments used to measure and report torque in a system.